Partnerships mean a lot to our business and have taken us to the next level in both our feature set and the overall customer experience. It's important to define what both parties expect and the benefits each partner will receive by going in on something together. Usually the best partnerships are ones that fill gaps and fulfill the needs our target market has asked us for (frequently). 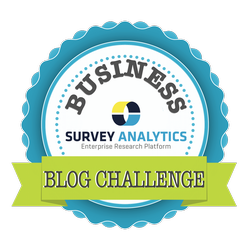 Partnerships with Survey Analytics are made in the effort of seeking to advance both parties interests. We make sure our partnerships are healthy by understanding and utilizing the strengths of each other. Currently, we have partnerships with a few companies including qSample, Tango Card and our newest partnership we are still working out the details with the great team at Technology Advice. Our current partners offer us substantial growth potential, and they expect the same out of us. If you are interested in exploring partnership opportunities with us, please contact us. Continue reading to learn about our partnership with Tango Card works and how it has helped our panel management tool evolve. Tango Card offers a RaaS® API (Rewards as a Service) that is often used for instant employee incentives and light rewards. Their API allowed us to not only create a different use case of their tool outside of employee reward initiatives, but it is a fully automated points and rewards fulfillment service for our panel management software. An example of how this works is when someone is managing a research panel in Survey Analytics, they can set points for when respondents complete surveys, invite friends, complete their profiles and more. Those points turn into rewards that can be redeemed for amazon gift cards, paypal money, visa gift cards and many more options are available. The rewards are automatically fulfilled, leaving your incentives program stress and worry free! We simply bill you for the inventory used. Learn more about how our points and rewards work here in this feature spotlight.